Unsure If A Hot Air Balloon Ride Is The Right Experience For You? Here Are Some Reasons Why You Should Come Fly with Us ASAP! You’ve heard about the great times your friends have had on their hot air balloon rides, but you’re not exactly sure it’s for you. If you’ve been looking for the right reason to go on your first hot air balloon ride, or need an idea for a great occasion, we’ve got some ballooning ideas just for you. 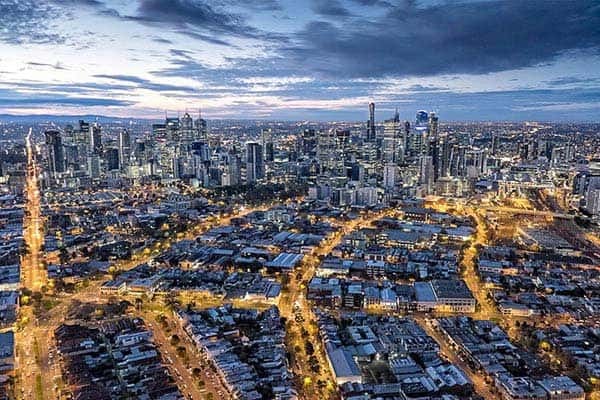 If you ask anyone that’s been on a hot air balloon ride, they’ll tell you that it gives you views of Melbourne that cannot be seen in any other way. On your ride you’ll get to see Melbourne vistas like never before and catch a glimpse of our cities unique beauty. It’s said that what separates us from the legends of our time is the fact that they continuously come up with new ways of seeing things. Makes sense, seeing how many industry leaders and brilliant minds, from Sir Richard Branson to famed astrophysicist Steven Hawking, have been on hot air balloon rides. Why not come for a ride, and see the world in the same way as they have? If you’re looking to spice up an outing, or looking to do something that’s special and something a bit more out of the ordinary on days like Mother’s or Father’s Day, a hot air balloon ride can be just the thing. Give the gift of impeccable views, and a once in a lifetime experience. If you’re ready to ask the big question, and are keen to do something more than a dinner at a fancy restaurant, a hot air balloon ride on that special day is an experience you and your life partner are sure to remember for the rest of your long and happy life together. We keep going on about the once in a lifetime experience thing, but we feel that thousands of happy balloon riders can’t all be wrong. If you want a unique experience, catching the sights and sounds of our city, while not having to worry about driving, a hot air balloon ride should be on your to do list. If you’re interested in seeing Melbourne like never before; contact us today to schedule your hot air balloon ride!